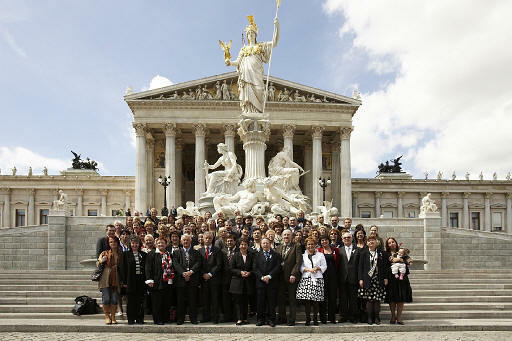 The contact parliamentarians involved in the Council of Europe's campaign to combat violence against women adopted the Vienna declaration (PDF) at the final conference of the parliamentary dimension of the campaign on 30 April in Vienna. On this occasion, they invited the Council of Europe to draw-up a framework convention to combat violence against women, including domestic violence and to involve parliamentarians and non governmental organisations in the drafting process. This instrument should take account of the specific aspects linked to equality between women and men and be designed to protect victims, punish perpetrators and prevent this human rights violation. PACE Rapporteur, Mr José Mendes Bota (Portugal, EPP/CD) presented, on this occasion, the interim results of the mid-term evaluation of the campaign (PDF) to which 40 national delegations, representing 80% of European citizens, contributed. 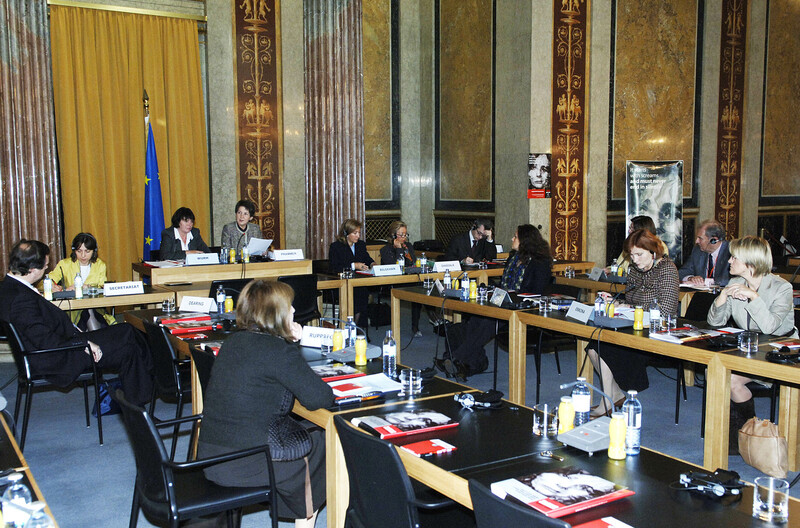 The closing conference of the parliamentary dimension of the Council of Europe campaign against domestic violence will take place on 30 April 2008 in Vienna (Austria), at the invitation of the Austrian Parliament. The results of the evaluation questionnaire (PDF) will be presented on that occasion. National delegations and contact parliamentarians are invited to fill it and return it to the Secretariat by 15 March 2008. The sixth issue of the PACE Action Newsletter is published. It provides practical information to the Assembly members concerning the past and future parliamentary activities carried out in the framework of the Council of Europe Campaign. 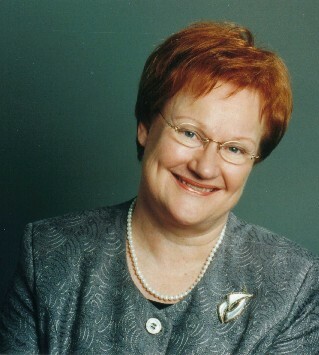 Tarja Halonen, President of the Republic of Finland, supports the campaign of the Council of Europe against Domestic Violence. 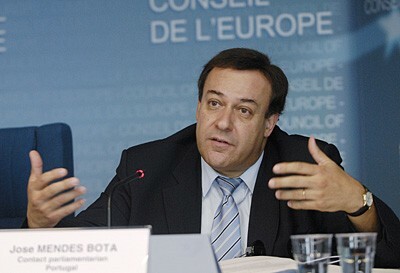 José Mendes Bota and the working group set up by the Portuguese Parliament organised its third decentralised seminar in archipelago of the Azores on 4 April 2008, (PDF in Portuguese) focusing in particular on the causes and the new forms of violence against women. Ali Huseynov, Chairman of the Milli Majlis standing commission on legal policy and state building, introduced the hearings organised in the framework of the Council of Europe campaign to Combat Domestic Violence, together with Bahar Muradova, Deputy Speaker of the Parliament. Kristiina Ojuland, Deputy Speaker of the Estonian Parliament, provided information about the situation in her country. The new bill on prevention of domestic violence is to be submitted soon to the Milli Majlis with the support of Gular Akhmadova, Contact MP for Azerbaijan. Carina Hägg, Chairperson of the Sub-Committee on violence against women, highlighted the parliamentary dimension of the Campaign at the IPU side-event on “The role of parliaments in financing for gender equality” along the Session of the UN Committee on the status of women in New-York on 27 February 2008. 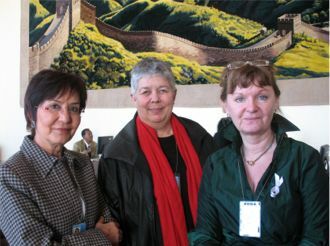 Carina Hägg and Swiss contact parliamentarian Doris Stump had on that occasion discussions with Yakin Ertürk, UN Special Rapporteur on violence against women. The Swedish parliament, at the initiative of Carina Hägg, contact parliamentarian, has prepared a study on the ressources allocated by public authorities to combat violence against women, in Sweden as well as in Nordic and Baltic countries. (PDF) This study follows the adoption of Resolution 1582 (2007), inviting national parliaments to "identify the financial means allocated to combat domestic violence against women over the last few years". The Austrian Delegation to the PACE was first to send back the evaluation questionnaire. 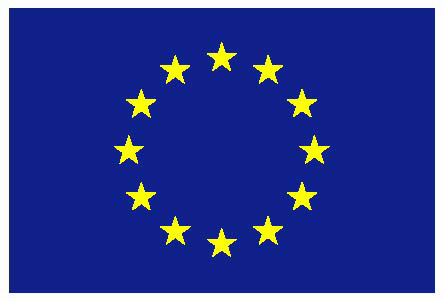 All national delegations are invited to contribute to the evaluation questionnaire (PDF) of the parliamentary dimension of the Council of Europe Campaign by 15 March. 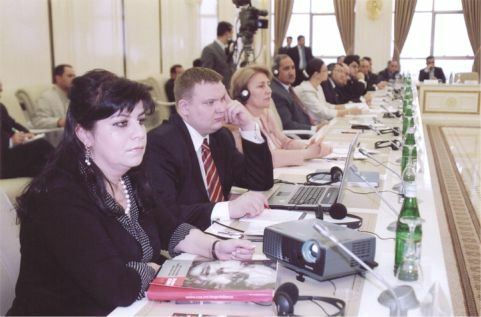 The reports of the five regional seminars organised in 2007 and the working documents available are now available on the website. Through the impetus given by Majda Potrata, contact parliamentarian, Slovenia adopted a new Family Violence Prevention Act, (PDF) which will come into force on 26 February 2008. 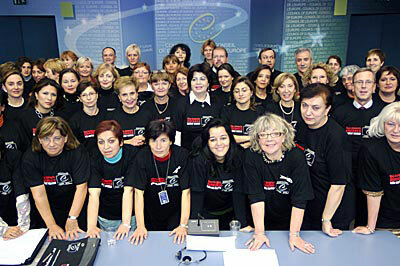 Ms Potrata will moreover organise on 7 March 2008 in the Slovenian Parliament an international conference dedicated to Violence against women and Development policy (PDF) in cooperation with SOS Help-line and Amnesty International. At this occasion, discussion-panels will be organised on Domestic violence, Violence against women and migration, Trafficking of women and the position of victims in the labour market. Men, especially male MPs, who account for some 80% of Europe’s parliamentarians, have a crucial role to play in efforts to combat domestic violence against women, rectify imbalances in power relationships and bring about changes in mentalities. Steingrímur J. SIGFÚSSON (Iceland, UEL) was elected today Chairperson of the PACE Committee on Equal Opportunities for Women and Men. 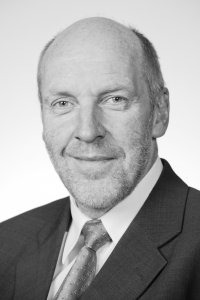 Mr Sigfusson is also the contact parliamentarian for Iceland. The Committee elected as Vice-Chairpersons José MENDES BOTA (Portugal, EPP/CD) (contact parliamentarian for Portugal), Ingrida CIRCENE (Latvia, EPP/CD) and Anna ČURDOVÁ (Czech Republic, SOC) (contact parliamentarian for the Czech Republic). The fifth issue of the PACE Action Newsletter is published. It provides practical information to the Assembly members concerning the past and future parliamentary activities carried out in the framework of the Council of Europe Campaign. The Committee on Cultural Affairs of the Swedish Parliament will organise on 14 November at 5 pm the screening of Ake Sandgren’s last movie « Den Man älskar » (« To Love Someone ») followed by a debate on the theme “Can we forgive the unforgivable?” with the participation of the director, the main actress and the producer of the movie. This projection is organised in the framework of the Council of Europe Campaign on Domestic violence against women, following the initiative of Siv Holma, Chairperson of the on Cultural Affairs and Cecilia Wikström, Vice Chairperson of the Committee. Carina Hägg, contact parliamentarian for Sweden, contributed to the preparation of the action plan released by the Swedish Agency for International co-operation (SIDA) which seeks to "contribute to a reduction of gender-based violence and to promote the rights and the economic and political empowerment of those subject to gender-based violence -mainly women and girls- in Sida's partner countries and in humanitarian assistance". Special attention will be paid to combating female genital mutilation, violence against lesbian, gay, bisexual and transgender people, sexual abuse in conflict and post-conflict situation, domestic violence and violence in the name of honour. Opening the 3rd regional seminar (Regional Group E) organised by the Parliamentary Assembly of the Council of Europe (PACE) as part of the "Stop domestic violence against women" campaign, Barbara Prammer, Speaker of the Austrian Parliament (Nationalrat) said: "Ten years after Austria passed a pioneering law in Europe to protect women against violence, we must persist in our efforts to overcome prejudices and fixed mentalities. We must not let ourselves be discouraged. Women and girls all over Europe are entitled to a life without violence and without fear of it; that is part and parcel of human rights". 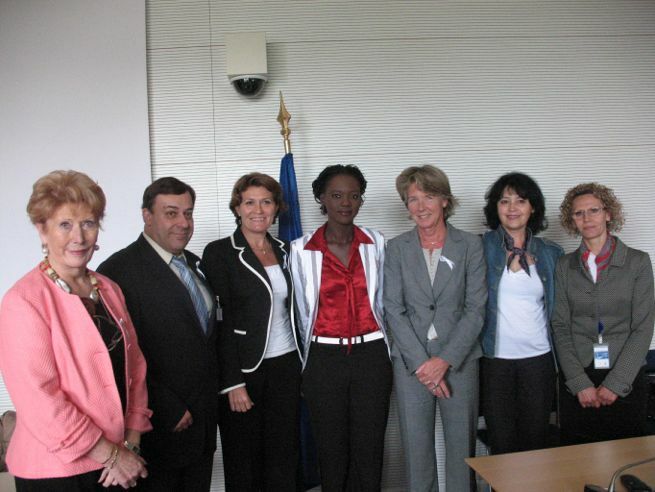 The meeting of Regional groups C and F of the contact parliamentarians involved in the Council of Europe Campaign Stop domestic violence against women was held on 5 October 2007 during the session of the Parliamentary Assembly in Strasbourg (France). The meeting aims to promote seven key measures to be implemented by national parliaments, as proposed Mr Mendes Bota’s report “Parliaments united in combating domestic violence against women”: mid-term assessment of the Campaign. The meeting will be chaired by Ms Quintanilla, PPE, regional coordinator for group C and contact parliamentarian for Spain. The Assembly approved Mr Mendes Bota’s report (Portugal, EPP/CD) on the mid-term assessment of the Campaign on Parliaments united in combating domestic violence against women: a mid-term assessment of the campaign. It proposes 7 criteria with a view to assessing the action taken by national parliaments to combat violence against women. Each parliament will be invited to assess its implementation of these measures by June 2008, with the aim of achieving the campaign objectives and thereby fostering improved protection of female victims of domestic violence. On the occasion of the PACE part-Session in Strasbourg (1-5 October 2007), Ms Quintanilla, contact parliamentarian for Spain, will propose a cartoon exhibition entitled "Por una vida sin malos tratos". This exhibition has been provided by the Ministry of Work and Social Affairs of Spain on the Campaign information stand, which will inform the PACE members of the latest developments of the Campaign. "Parliamentarians of Europe mobilise to combat domestic violence against women"
the fourth issue of the PACE Action Newsletter is published. It provides practical information to the Assembly members concerning the forthcoming meetings of regional groups of contact parliamentarians involved in the Council of Europe Campaign “Stop domestic violence against women”. 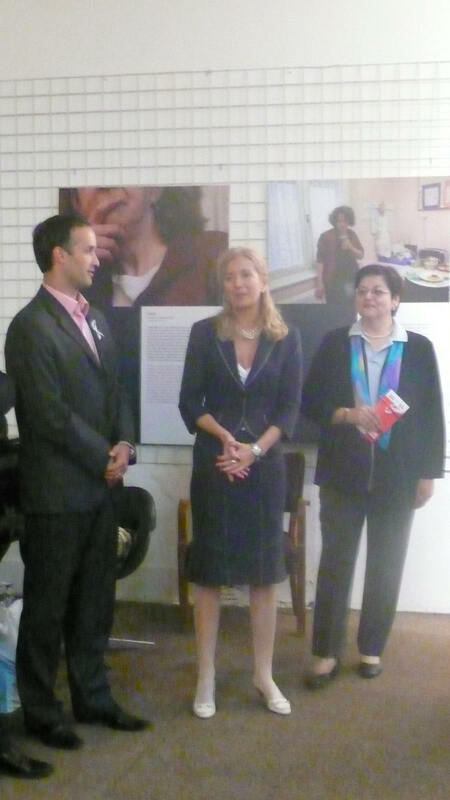 “Ms Gordana Čomić, contact parliamentarian for Serbia, took part in the official opening of the Office for gender equality, psycho-social and legal aid for the victims of violence in the municipality of Palilula, in presence of Danilo Basic, President of the Palilula municipality and Ms. Snezana Lakicevic-Stojacic, President of the Government's Gender Equality council. On this occasion, the Serbian version of the exhibition "Break the silence on domestic violence", originally shown at Sava Center in Belgrade with the support of the Congress of Local and Regional Authorities and the Parliamentary Assembly of the Council of Europe, was displayed. 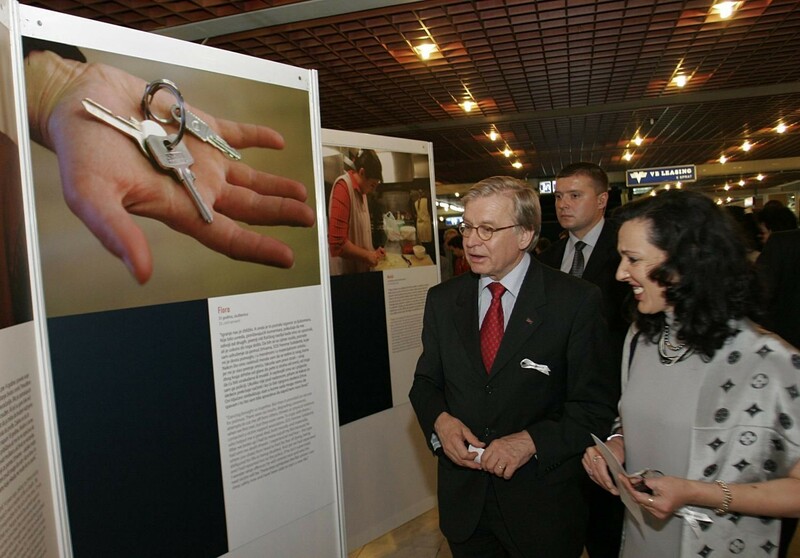 This exhibition had been inaugurated in May 2007 by the the Parliament of Serbia and the Parliamentary Assembly . This exhibition raised a lot of interest amongst gender activists, NGOs, Centres for social welfare and police forces. The exhibition is, therefore, due to be displayed in other municipalities in Belgrade and in Serbia, with the support of the Council of Europe Office in Belgrade. “Anita Roddick was a woman committed to human rights and the dignity of women,” said Council of Europe Parliamentary Assembly (PACE) Rapporteur José Mendes Bota (Portugal, EPP/CD) on hearing news of the Body Shop founder’s death. “Her active support for the drive to curb violence against women was an example to us all and shows that it is up to each one of us, including those in the business sphere, to exercise our personal responsibility in raising public awareness and condemning violence against women.” Mr Mendes Bota will present a report on the subject to PACE in October 2007. 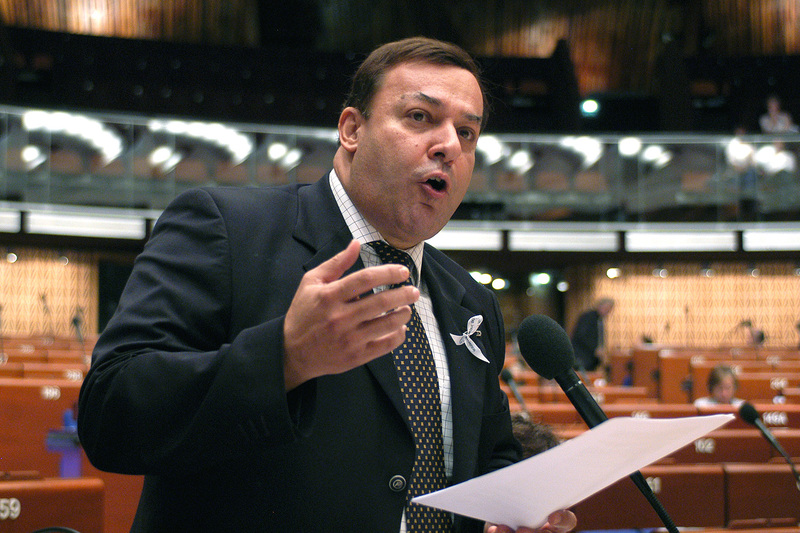 The Council of Europe has been conducting a pan-European campaign to combat violence against women, including domestic violence, since November 2006. At a hearing on feminicides organised by the PACE Sub-Committee on violence against women Ms Diaz Delgado, Chairperson of the Committee on Gender Equality of the Senate of Mexico spoke about the contribution of Mexico's Senate and Congress to the Council of Europe Campaign, in particular the adoption of the "General Law on access for women to a life free of violence" (01.02.2007). More than 60 participants came in Strasbourg to the conference and debate on "the contribution of the Portuguese Parliament to the Council of Europe Campaign : the example of the fight against domestic violence against women", moderated by Mr José Mendes Bota, contact parliamentarian of Portugal, in the presence of Ambassador Américo Madeira Bárbara, Permanent Representative of Portugal to the Council of Europe. 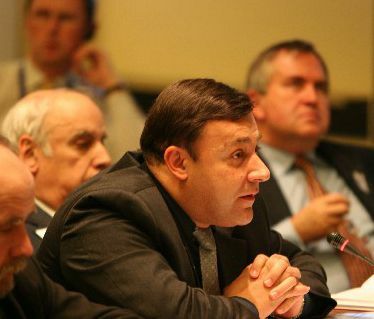 The third issue of the PACE Action Newsletter is published on 25 June 2007. It provides practical information to the Assembly members meeting in Strasbourg for the part-Sessions of the Assembly and highlights the Campaign-related actions which are organised around the Session. Ms Carina Hägg, Chair of the Sub-Committee on violence against Women of the Parliamentary Assembly, will participate in the Second regional Seminar on "Men's active participation in combating Domestic violence" (see draft agenda). At this occasion she will meet for an exchange of views, Ms Gordana Sobol, Chaiperson of the Gender Equality Committee of the Croatian Parliament. 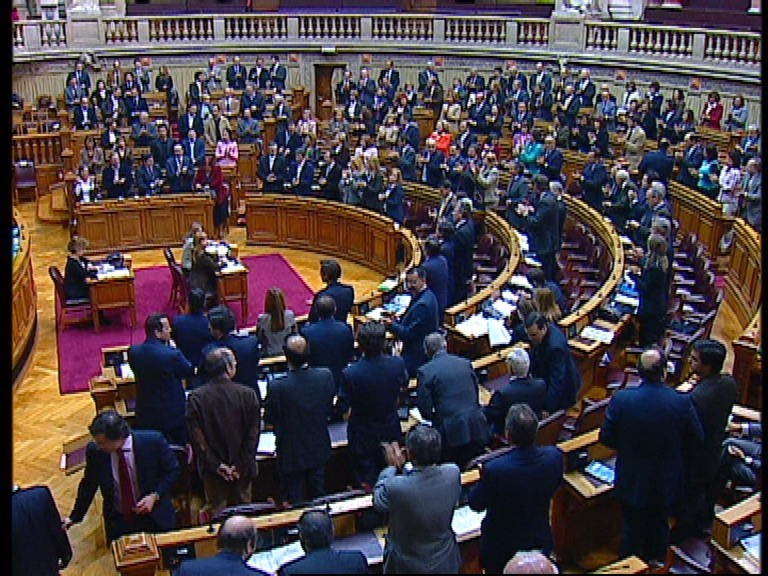 12 April 2007- Portuguese Parliament approves unanimously and by acclamation a Resolution against domestic violence. The Second issue of the PACE Action Newsletter will be published on 16 April 2007. It provides practical information to the Assembly members meeting in Strasbourg for the part-Sessions of the Assembly and highlights the Campaign-related actions which are organised around the Session. Representatives of national parliaments from across Greater Europe today signalled their support for the “white ribbon” campaign to combat violence against women ahead of a major Europe-wide governmental and parliamentary campaign on this theme to be launched in Madrid on November 27. Ms Yakin Ertürk, UN Special Rapporteur on violence against women, will address the Parliamentary Assembly on 28 June 2006 on the occasion of the debate on Ms Cliveti's report "Parliaments united in combating domestic violence against women" on the issue "combating domestic violence against women : a challenge for European democracies". She will also be the keynote speaker at the 3rd meeting of women members of the Parliamentary Assembly (27 June, 19:00) and will take part in an exchange of views with the members of the committee on equal opportunities for women and men on 28 June at 14:00. The minutes of the hearing organised at the invitation of the Swedish Parliament on the preparation of the Assembly action “Parliaments united in combating domestic violence against women” are now available.